Everything was made with scraps from my Keeping it Together watercolor quilt. Didn't even make a dent in the pile! My parents live in Key Largo so I wanted something tropical. 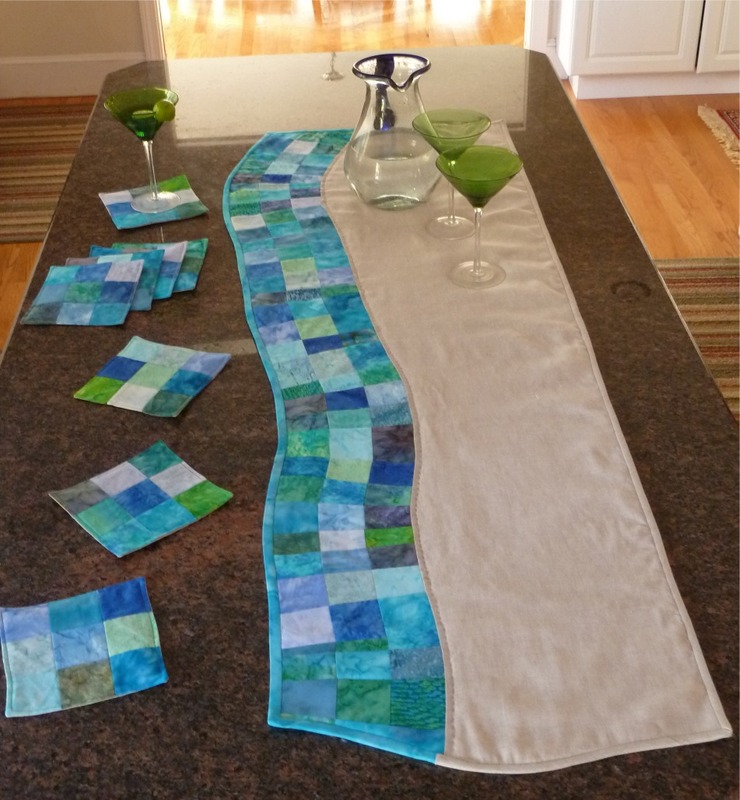 The table runner combines crazy 9 patch blocks and curved piecing. I used Essex linen for the sand with some big stitch quilting along the edges. My favorite part is how the binding matches up with the sand and water. It was a total pain to sew that way but I love the result! The coasters are just more leftover crazy 9 patch blocks with linen on the back. I was really going crazy with these scraps so I had to make a set of matching napkins also. 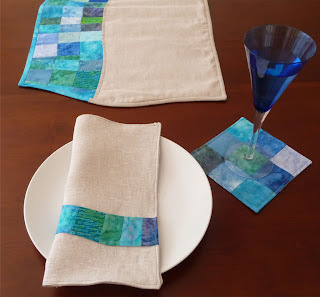 In case you missed it, here's the tutorial for these wavy applique napkins. Beautiful Alice! Your mom will be really touched. Your mom is VERY lucky! This is awesome-- I loved the curved edge. It looks difficult-- but beautiful!